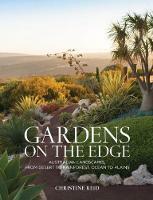 Eighteen gardens from every state and territory and in every kind of terrain from rainforest to bushland, mountain to coast. Beautiful, diverse, exotic and resilient. Very large format book with laser cut illustrations and flaps to lift. Excellent exploration of submarine delights. Ages 6-9. A road rally round Australia is the backdrop to confrontation between white and Aboriginal cultures. The characters are complex and intriguing, the prose energetic. On form, as he is here, Carey is one of the most exhilarating of novelists. Five go out on a hike in Australia; four return. A new spinechiller from the author of last year’s great success, ‘The Dry‘. Set in Paris, this is the first novel for many years from the great New Zealand author.